Founded in 1984 by Hesham Derazi, Heat Exchanger Design, Inc. has grown from a small 1-2 person organization, primarily assisting customers with thermal design to a sizable manufacturing facility employing 50+ people. Additionally, HED is proud to offer the services of some of the industry’s top engineers, having assembled a design team that is both innovative and flexible when it comes to the customer’s needs. 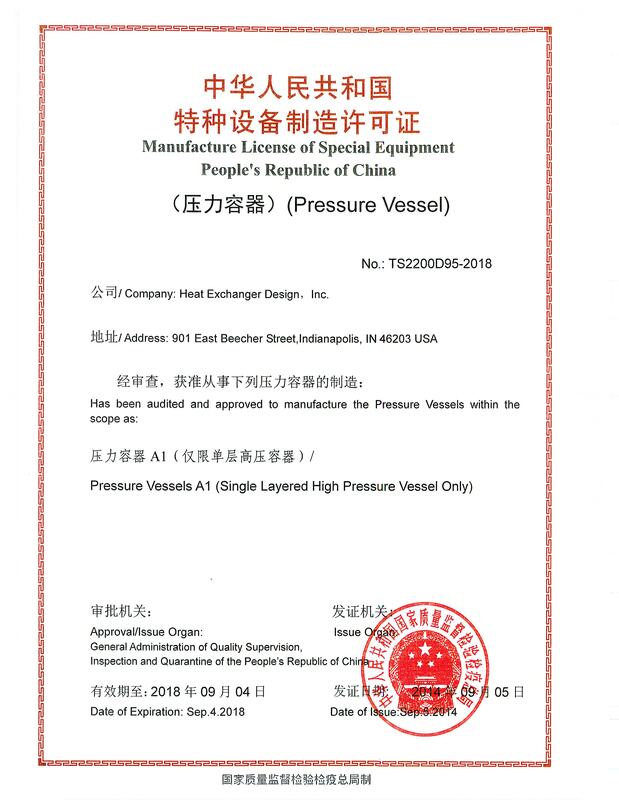 Heat Exchanger Design, Inc. has and continues to service a worldwide customer base for pressure vessels and heat exchangers. HED, Inc. is an ASME authorized manufacturer. We design and fabricate heat exchangers and pressure vessels according to TEMA, API, ASME Section I and VIII, Division I, and other industry recognized standards as well as offering full compliance with customer specification. 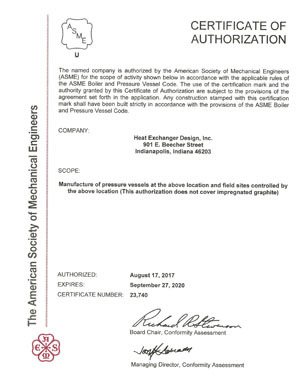 We also provide the National Board of Boiler and Pressure Vessels Inspectors Registration for any vessels manufactured according to ASME code. For our customers based in Canada, we have had extensive experience in obtaining CRNs. Please click on the below quality certificates to view the full-size PDF. To learn more about our Engineering capabilities, please click here.